We recently introduced British barihunk George von Bergen in an announcement about ENO's upcoming season, where he's singing Sharpless in Anthony Minghella's award-winning production of Puccini's Madama Butterfly. If you want to catch him in something a bit more contemporary, you can hear him as the Steward in Jonathan Dove's Flight at Opera Holland Park from June 6-19. The comic opera is based on a true story of a refugee trapped and living at a major international airport. He'll be joined by Kitty Whately as the Stewardess and tenor Jeffrey Lloyd-Roberts, both of whom he encounters in a physical way! This will be the first professional performance of the piece in London and it will also feature fellow barihunk Nicholas Garrett, who we first introduced to readers back in 2010. The work was commissioned by Glyndebourne Opera and premiered on September 24, 1998. The first U.S. performance was at Opera Theatre of Saint Louis on June 8, 2003 in a production directed by Colin Graham. If you want to catch von Bergen in something slightly less contemporary, you can hear him as Count Almaviva in Mozart's Le nozze di Figaro with Opera Project at West Green House on July 25 and 26. Additional cast and ticket information is available online. It seems like every season, one of New York's innovative smaller companies produces a show that sets the international opera world on fire. 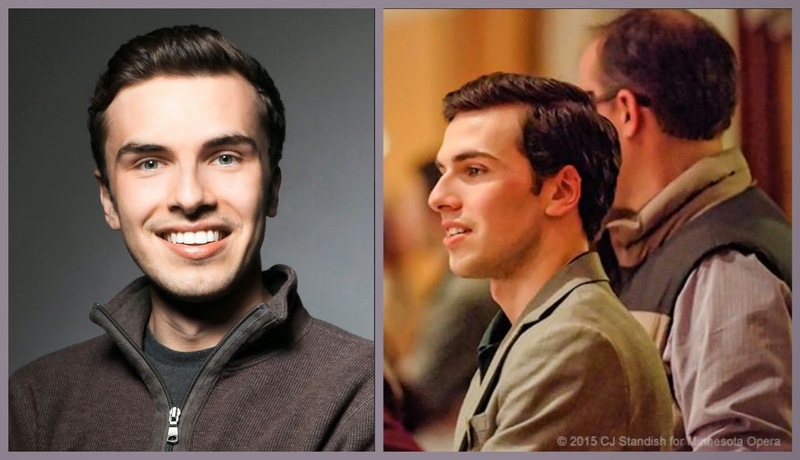 Last season it was Gregory Spears' Paul's Case that Beth Morrison produced and starred barihunk Keith Phares. The innovative director has opened up these rehearsals to the public and live streamed the rehearsals. The rehearsals have become NY mini-social scenes, even attracting Yoko Ono, Justin Vivian Bond and rapper Big Dipper. Word is that is only the second part of a trilogy, so there will be another chance to catch his latest work next season. 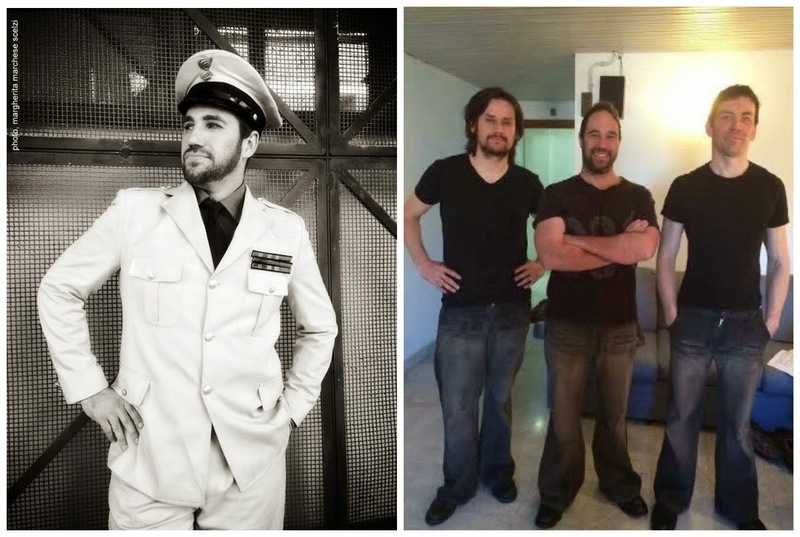 John Paul Huckle and the Teatro Carlo Felice "Barihunk Trio"
We recently posted about the barihunk trio in the Teatro Carlo Felice's production of Billy Budd and mentioned that they will be reuniting for Bizet's Carmen. We've now learned that you can watch them live online for FREE on May 8 and 6 PM (GMT) and May 12 at 1 PM (GMT) on their new livestream. Valdis Jansons will sing Escamillo, John Paul Huckle is perfoming Zuniga and Ricardo Crampton is taking on Morales. Jansons will be rotating the matador's role with another barihunk, Mattia Olivieri, who proved quite popular with our readers when we first posted about him. Carmen will be rotated between Sonia Ganassi and Anna Malavasi. The opera opens on May 8th and runs through May 17. 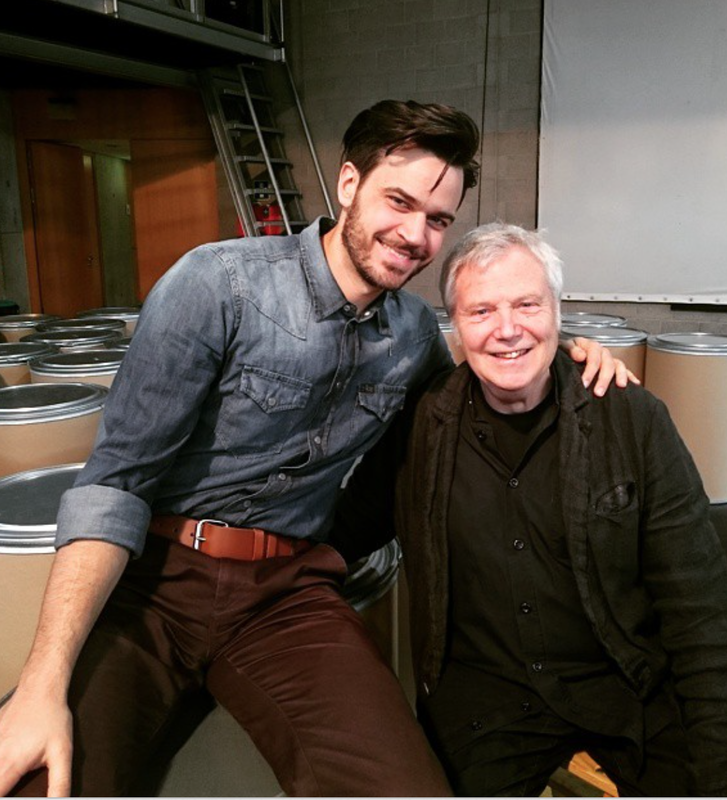 Barihunk Malte Roesner will be performing in the German language premiere of Jake Heggie's chamber opera For a Look or a Touch at the Staatstheater Braunschweig opening on May 2nd. Based on the true story of two teenage lovers that the Holocaust tore apart forever, the dramatic song cycle For a Look or a Touch casts light on the fate of gay Germans in the Holocaust. The libretto, written by Heggie's frequent collaborator Gene Scheer, juxtaposes the exuberant freedom of pre-World War II Berlin with the brutal Nazi horrors that followed, while making an impassioned plea for remembrance. Coming out of retirement to portray Gad Beck, an eighty year old gay survivor of the Holocaust, is famed German actor Jost Leers. Gad Beck is an 80-year-old survivor of the Holocaust who is haunted by the memories of his first love Manfred, who died in a concentration camp at age 19. The piece will be performed along with Jake Heggie and Gene Scheer’s Another Sunrise, a 17-minute music drama performed by chamber quintet and soprano. The two Heggie pieces with be performed with Ilse, the story Ilse Koch, the wife of a camp commandant at Buchenwald, with text taken from the original trials. 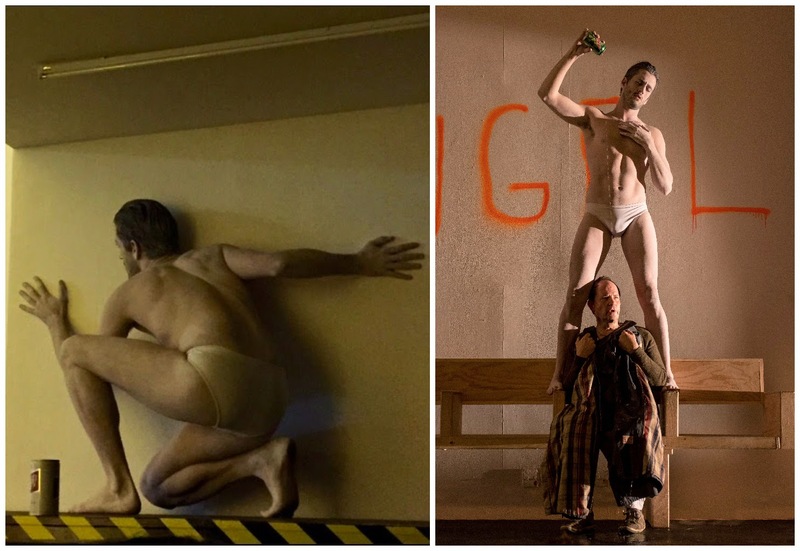 The English National Opera has announced its new season and they have enough barihunks featured to start a small men's chorus. 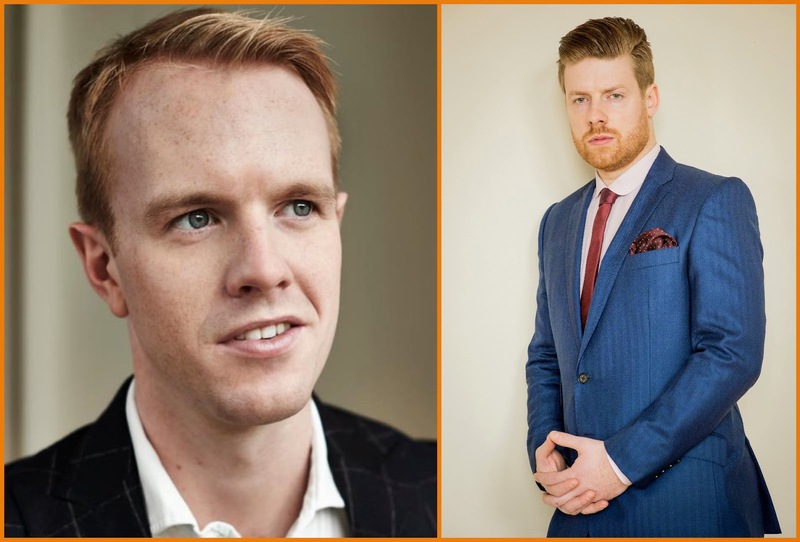 Lovers of ginger barihunks won't want to miss Rossini's Barber of Seville, which features Aussie Morgan Pearse in the title role and Barnaby Rea as Don Basilio. Andrew Shore returns in this Jonathan Miller production in his signature role of Bartolo, while Kathryn Rudge sings Rosina and the gifted young tenor Eleazor Rodriguez takes on Count Almaviva. There will be ten performances beginning on September 28th. Beginning October 16th, ENO will feature a barihunk trio in fourteen performances of Puccini's La bohéme. 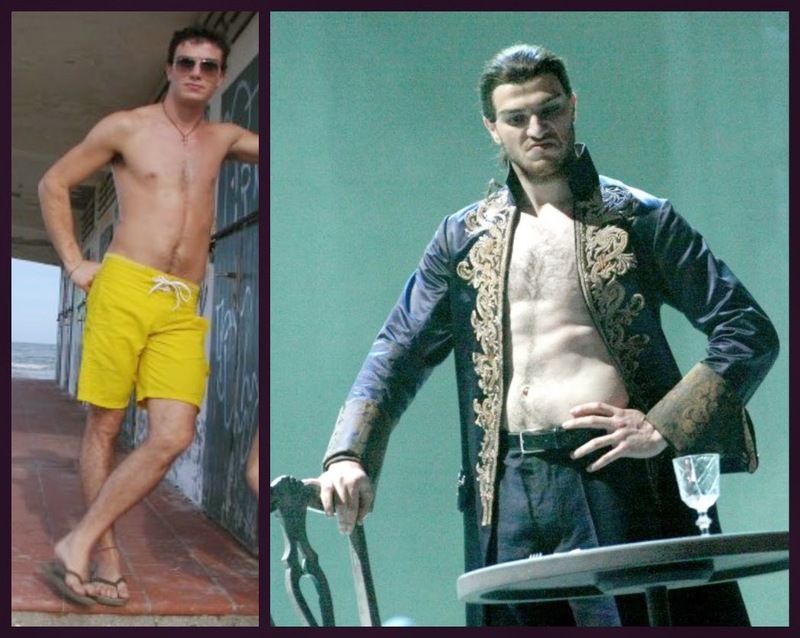 Duncan Rock, who is easily one of the most popular barihunks on this site, will sing Marcello. He'll be joined by the Colline of Ashley Riches and Nicholas Masters as Schaunard. Zach Borichevsky will sing Rodolfo, Corinne Winters sings Mimi and Rhian Lois sings Musetta. The opera will be directed by Benedict Andrews. Fans of Duncan Rock in the US can catch his American debut in the title role of Don Giovanni, running from May 1-10 with the Boston Lyric Opera. ENO Harewood Young Artist George von Bergen will sing Sharpless in Anthony Minghella's award-winning production of Puccini's Madama Butterfly. The British singer studied at the University of Bristol, the Royal Academy of Music and the National Opera Studio in London, before going on to win the Royal Overseas League singing competition. 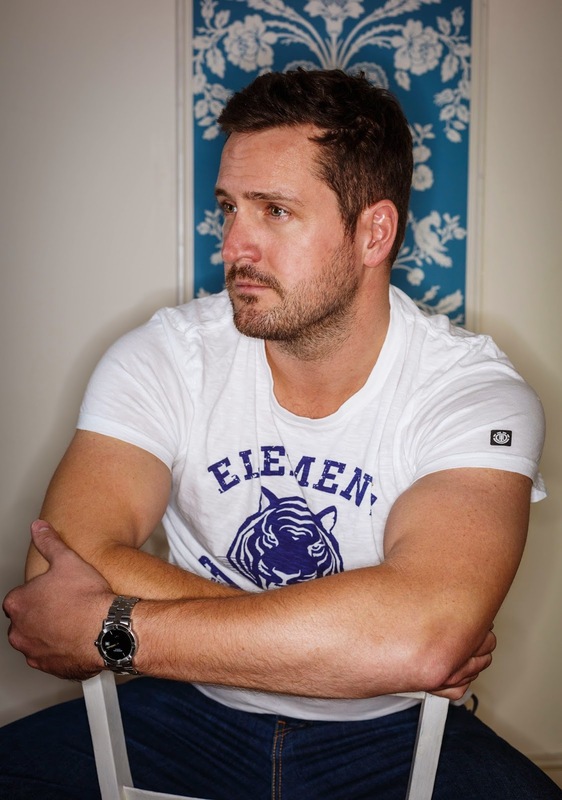 He has performed with the Welsh National Opera, Opera North, Scottish Opera and Garsington Opera, and made his BBC Proms debut with the BBC Symphony Orchestra in Vaughan Williams’ Serenade to Music with Sir Andrew Davis. Other operas in the upcoming season include Shostakovich's Lady Macbeth of Mtsensk, Mozart's The Magic Flute, Bellini's Norma, Verdi's The Force of Destiny, Gilbert & Sullivan's The Mikado, Glass' Akhnaten, Janacek's Jenufa and Wagner's Tristan and Isolde. If you can't wait until the new season, you can check out barihunk Leigh Melrose as Escamillo in Bizet's Carmen, which runs from May 20-June 3. Visit the ENO website for complete cast list and ticket information. Our latest Reader Submission is 21-year-old bass-barihunk Eric Broker, who is a senior at St. Olaf College and a Communications and Social Media Intern with the Minnesota Opera. He performed his senior recital on April 11th, which you can watch online. He performed music by Handel, Poulenc, Mozart, Bolcom and others. Broker recently won the Minnesota National Association of Teachers of Singing Competition and was a finalist the Schubert Club Song Competition last year. He is currently a member of the Minnesota Opera Chorus and is preparing for graduate school. While at St. Olaf, he sang the roles of Voltaire/Dr. Pangloss in Bernstein's Candide, Superintendent Budd in Britten's Albert Herring, Carl Olson in Weill's Street Scene, and the title role in James McKeel's Fabrizio's Comet, a world premiere opera. He has also performed Handel's Messiah with the Canon Valley Orchestra and patriotic anthems with the Northfield Band. Broker is also a member of Pi Kappa Lambda, which is indicative of superior attainment in music, together with the personal qualifications pertaining to an outstanding exponent of the art. Membership acknowledges personal integrity, leadership, open-mindedness and intellectual stamina throughout one's time at St. Olaf College. We managed to get the three barihunks appearing in Benjamin Britten's Billy Budd at the Teatro Carlo Felice to pose for a backstage photo before a recent performance. Valdis Jansons is rotating the title role with Phillip Addis, while Ricardo Crampton performs the role of A Novice and John Paul Huckle sings Dansker for the entire run. The production directed by Davide Livermore has been praised for turning the stage into a ship and lowering and rising the sets to create a sense of navigation. There is one remaining performance left on April 23. You can also watch a video of Phillip Addis discussing the role of Billy Budd. 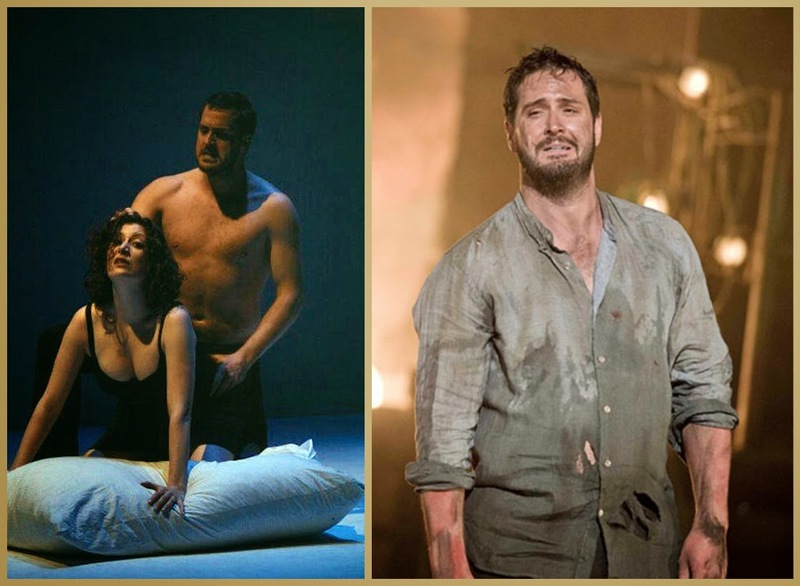 If you can't make it to Billy Budd, you can still catch the barihunk trio in the Teatro Carlo Felice's upcoming production of Carmen, where Jansons will sing Escamillo, Huckle performs Zuniga and Crampton takes on Morales. Jansons will be rotating the matador's role with another barihunk, Mattia Olivieri, who proved quite popular with our readers when we first posted about him. He was even featured in our Best of 2014 post as one of our hottest newcomers to the site. Dmitri Hvorostovsky returns to the Metropolitan opera as King Gustavo III's confidant Anckarström in Verdi’s Un Ballo in Maschera with the Metropolitan Opera's Music Director James Levine on the podium. The all-star cast will also feature Piotr Beczala in his Met role debut as the ill-fated Gustavo, Sondra Radvanovsky as Amelia, Dolora Zajick as the fortune-teller Ulrica, and Heidi Stober as the page Oscar. The opera opens on April 23 and runs through May 9. The David Alden revival will mark the first time that James Levine has conducted the opera at the Met in nearly 20 years. 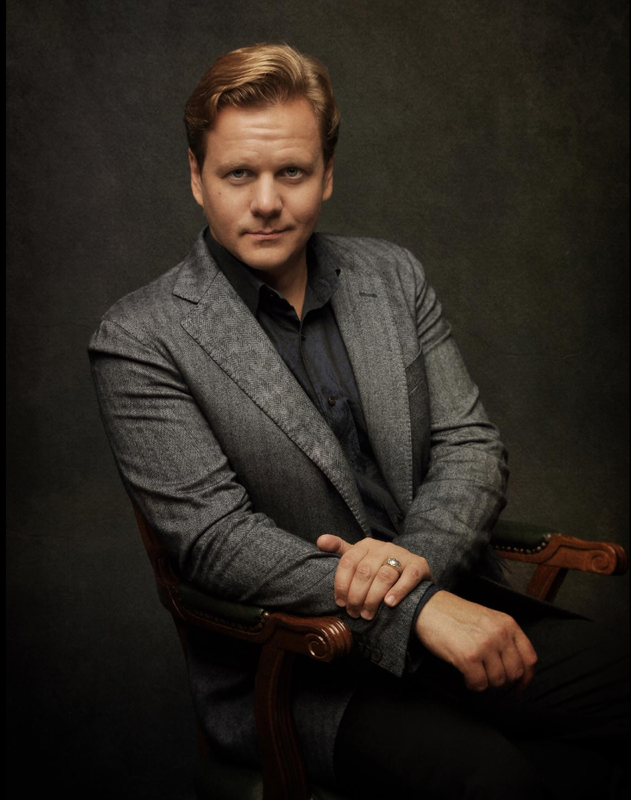 Russian baritone Alexey Markov, who sang Germont in Verdi’s La Traviata and Robert in Tchaikovsky’s Iolanta earlier this season, will sing Anckarström in the May 6 and 9 performances. Tickets and additional performance information is available online. 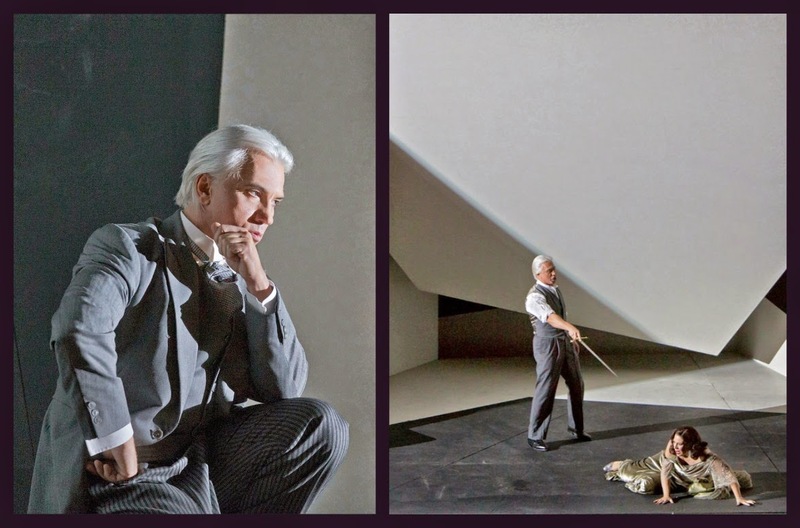 After wrapping up Ballo, Hvorostovsky leaves to perform concerts in St. Petersburg, Munich, Calistoga and Yountville, California. The Collegiate Chorale concludes its 2014-15 season with the U.S. Premiere of Kurt Weill’s The Road of Promise featuring barihunks Philip Cutlip and Justin Hopkins. Performances are on May 6 and 7 at the Stern Auditorium/Perelman Stage at Carnegie Hall. The May 7 performance will feature a special pre-concert talk about the background, historical context, and musical content of the piece.